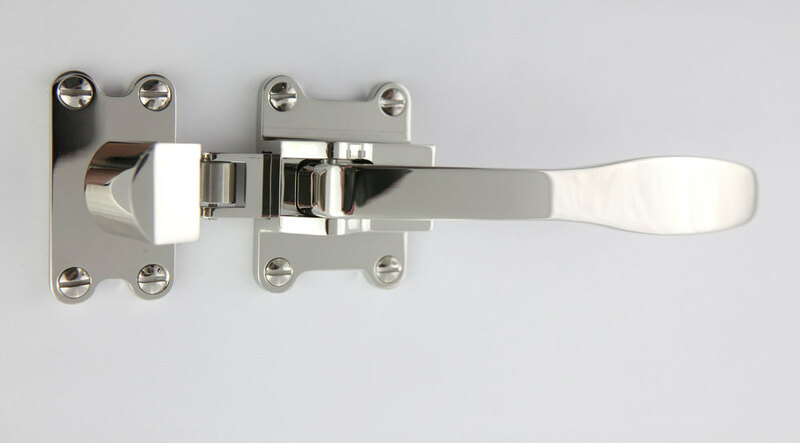 Wilmette Hardware offers highly detailed ice box hardware including ice box hinges and latches for appliance panels (sub zero, thermador, viking, etc) as well as pantry and cabinet doors. This hardware is fabricated using an ultra-precise CNC machining process and all components are hand fit and finished. Traditional solid brass turned cabinet knob with solid brass machined backplate with no exposed fasteners (exposed fasteners available). 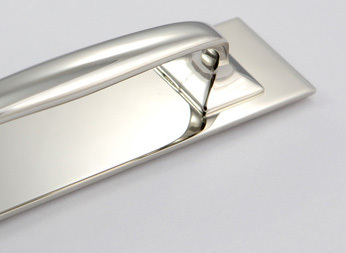 Our traditional ice box hinge is crafted from the finest brass material and has clean oval head slotted fasteners. This reproduction ice box latch is manufactured from solid billet brass on CNC machines and finished right here in our shop in Wilmette.